Palm Springs, California-based attorney Kevin Cortright is offering aggressive advocacy on behalf of his clients seeking workers compensation claims. He is confident that he is the best option for clients looking for active help, and that he will obtain the best medical care for clients while fighting for every dollar they deserve. Mr. Cortright and his team have additional expertise in claims dealing with bankruptcy, auto and truck accidents, pedestrian accidents, bicycle accidents, and dog bites. Each year, thousands of people in California get hurt on the job and seek medical help and attention. A workers compensation insurance policy makes sure that an employee has medical help, as well as wage replacement for not being able to work. One must notify his or her employer immediately after an injury. While the process seems pretty straightforward, a representative for Kevin Cortright says that is not always the case. "We see it all the time ... our clients are not getting the full coverage of help that they deserve. You really need someone that knows all the ins and outs of workers compensation to get you everything you are entitled to." Mr. Cortright and his team also want to be clear for their clients on what work-related injuries encompass. As the website explains, "It's not just injuries that happen in your workplace. It also includes injuries and illnesses that happen on job-sites, during work-related motor vehicle accidents, after exposure from a workplace accident, or health problems caused by repeated movements at work. These injuries may occur at one time, or develop over a period of time." The representative also says that, "People don't know maybe until years later the severity of their condition due to work-related injuries." "There are potential hurdles for obtaining the needed help by Mr. Cortright's clients," says the representative. It is possible that an employer might attempt to stop an employee from filing a claim, or try to fight it. As Mr. Cortright states, "You may ... be dealing with an angry employer or an employer who is trying to prevent you from reporting the incident that caused your injury. It can be confusing and hard to know what the right thing to do is at any point in the process." Kevin Cortright has more than 15 years of experience in the workers compensation field. "You need experience," says the representative. "And you need someone who is going to fight for you and what is best for you. 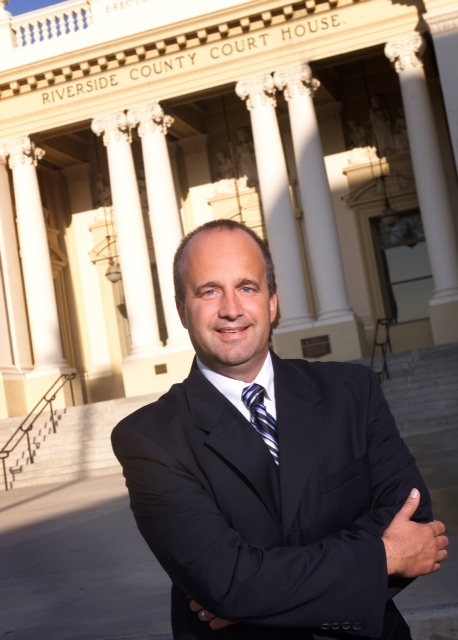 Kevin Cortright is a top Palms Springs Workers Compensation Attorney for a reason." The first step that Mr. Cortright's office says one should take when injured on the job is to seek medical help immediately. "Don't listen if your employer is begging you not to, or asks you not to mention that your reason for needing medical attention is work-related," the representative says. The representative also states that it's possible that an employer will threaten with termination to stop an injured employee from reporting the incident, but that this is not legal in California. "Go get help," says the representative. "No one has the right to stop you from getting the medical attention that you need." The second step that Mr. Cortright's office says one should take when injured on the job is to seek out an experienced workers compensation attorney. One client says, "I was injured on the job. My employer said I wasn't entitled to compensation. I didn't know what to do, so I went online. I found a few attorneys ... but none of them really seemed to understand my unique situation. Then I discovered Mr. Cortright and it's like a light went off." The Law Offices of Kevin Cortright's website lists multiple cases in which they have gotten their clients thousands of dollars through settlement. "Kevin Cortright is a Palm Springs Workers Compensation Attorney that you can trust," says the representative. "With as much experience he has, and the care he demonstrates for his clients, there really isn't another option to consider." The practice is confident in their aggressive advocacy approach for their clients, that they will achieve favorable results. Kevin Cortright offers services in additional to workers compensation claims such as personal injury accidents, dog bites, and bankruptcy claims. His clients seem to be receptive to what he is doing - Mr. Cortright's practice currently holds a 4.8 Google rating. One reviewer states, "Cortright Law was professional and actively involved with my case. I would go to them again for legal assistance."